The Abaca Resort in Cebu is just a stone’s throw away from the bigger resorts of Mactan Shangri-la Hotel and The Movenpick. Abaca is smaller (10 villas), hence more privacy is ensured. The price per night of stay in Abaca though, is not cheap at all (there is no private beach). So if you don’t wish to stay in their villas, you can still visit Abaca for the restaurant, which already gives you a glimpse of the petite resort itself. 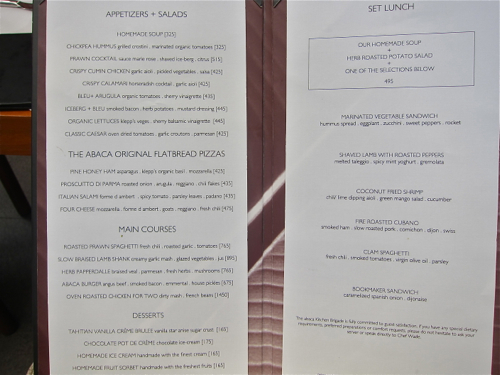 Abaca Restaurant features the cuisine of Australian Chef, Wade Watson. 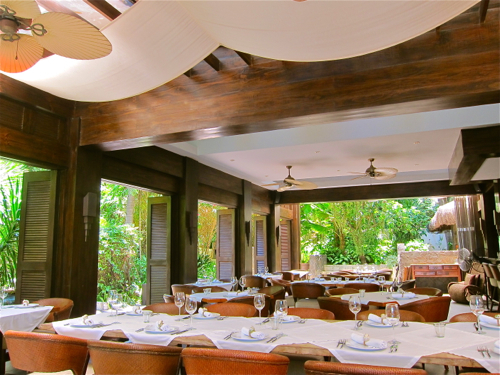 Abaca would be a perfect venue for a wedding reception or for that special occasion. It is without question, beautiful. 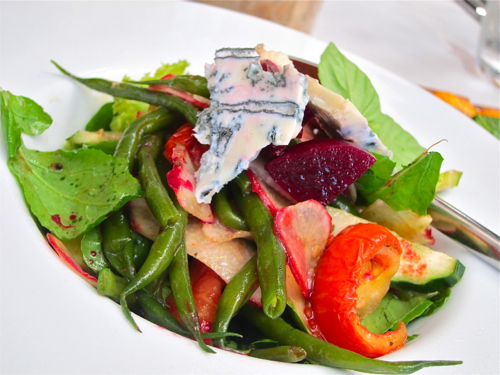 The salad starter is quite wonderful with blue cheese and fresh arugula and beets. Worth having seconds of– without a second thought. 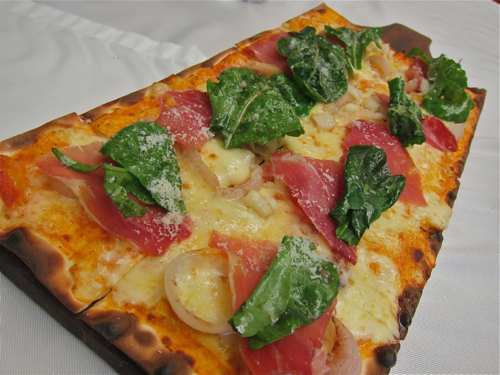 The Abaca Flatbread pizza with Prosciutto di Parma is exquisite as promised. Very flavorful at the same time fresh and light. 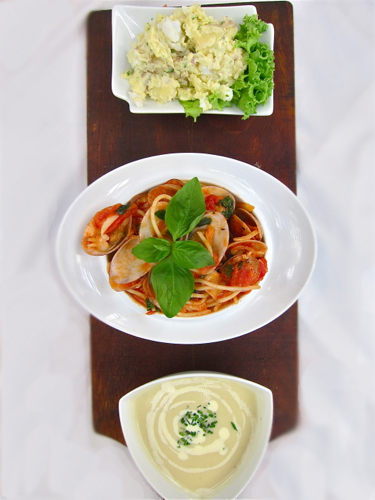 The Lunch Set at P 495 is just right. The potato salad was delicious, although the homemade soup and the clams spaghetti were a bit lackluster in the taste department. Ask for salt and some chili flakes to taste. Portions are good though. 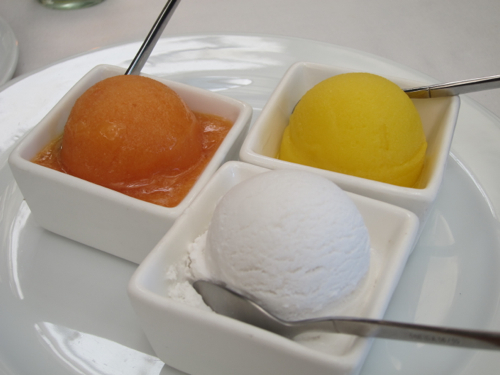 The dessert was perfect to complement the lunch– it was refreshing and light. You might want seconds especially if it’s a hot day. 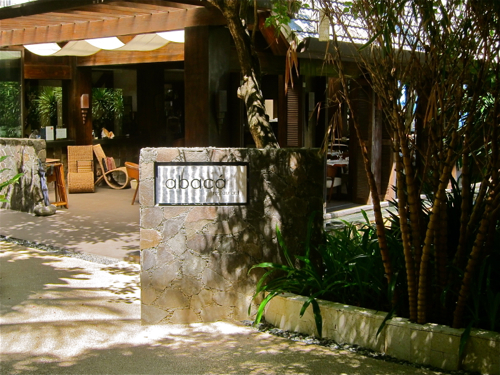 For more information about the Abaca Restaurant in Lapu- lapu City in Cebu, check the Abaca Restaurant website. 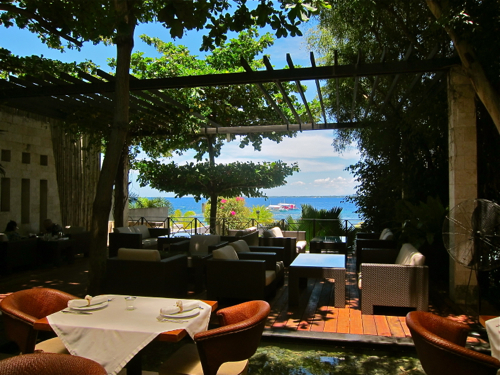 Abaca definitely looks like a wonderful place to bring your loved ones. I really love their ambiance. I think there are also other similar restaurants in Cebu, like Abaca.